McGrath Electronics sells both new and used computer and electronic parts. 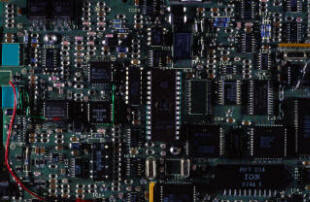 From cables to power supplies we can supply you with many popular computer parts at competitive prices. Many of our items can also be purchased at our eBay store. If we do not have what you are looking for, we can also special order parts from most of the major manufacturers. McGrath Electronics builds top quality computer systems and servers for business. Our workstations are designed for the users who do not want to sacrifice quality for price. Our servers are designed for longevity and stability so you can count on them for maximum uptime. All of our new systems feature Boxed Intel® motherboards and Boxed Intel® processors, Kingston Technology memory, and Seagate hard drives. Currently our computer systems are currently only available to customers in the greater Phoenix, AZ metropolitan area. McGrath Electronics sells used computers that are fully tested. Some include operating systems and some of them do not. Currently our used computer systems are only available for local pickup. We are located near Paradise Valley Mall in the north central part of Phoenix, AZ.